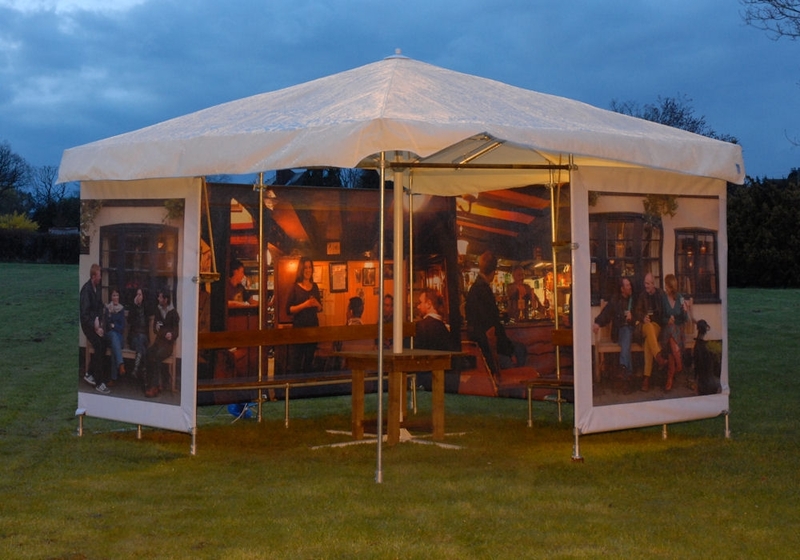 The Old English Pub Marquee offers a unique party solution. 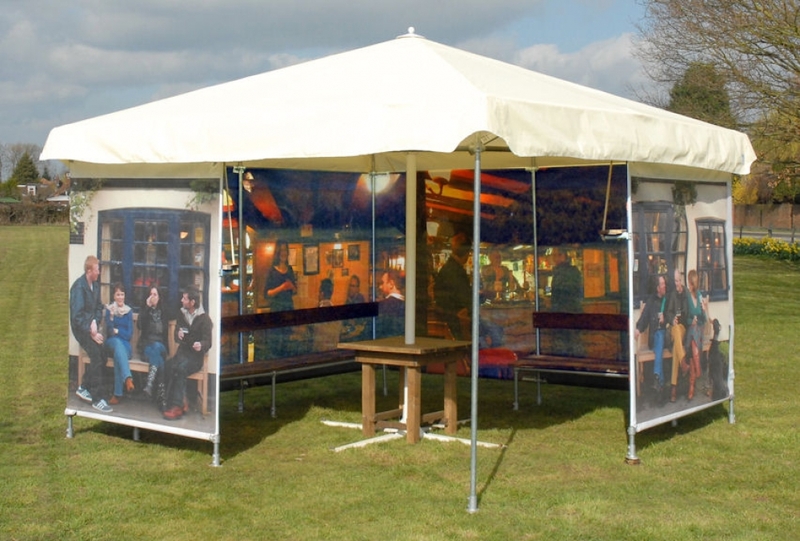 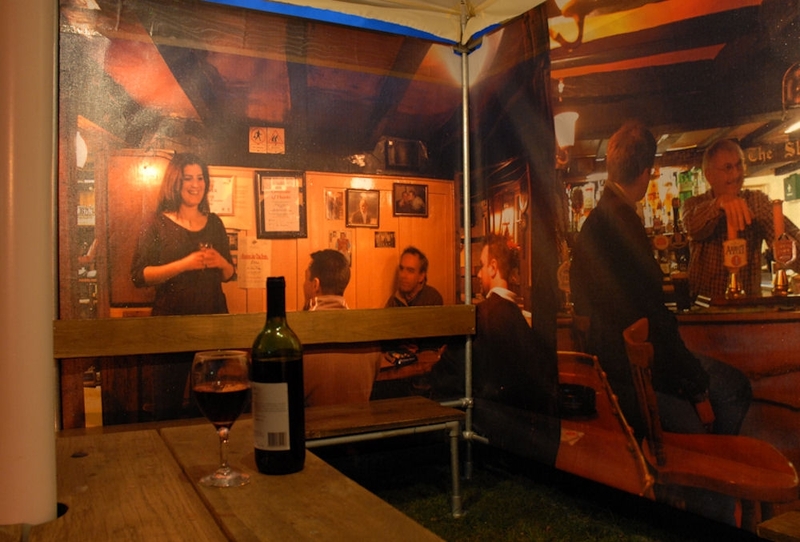 This tent hire option has been used across London and home counties for events of all sizes. 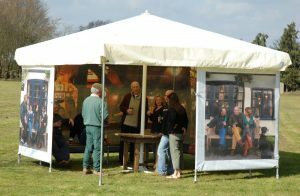 Measuring 4M x 4M (12’10”), with 50% open space (the marquee complies with all legal requirements for smokers) practicality embraces genuine rustic charm. 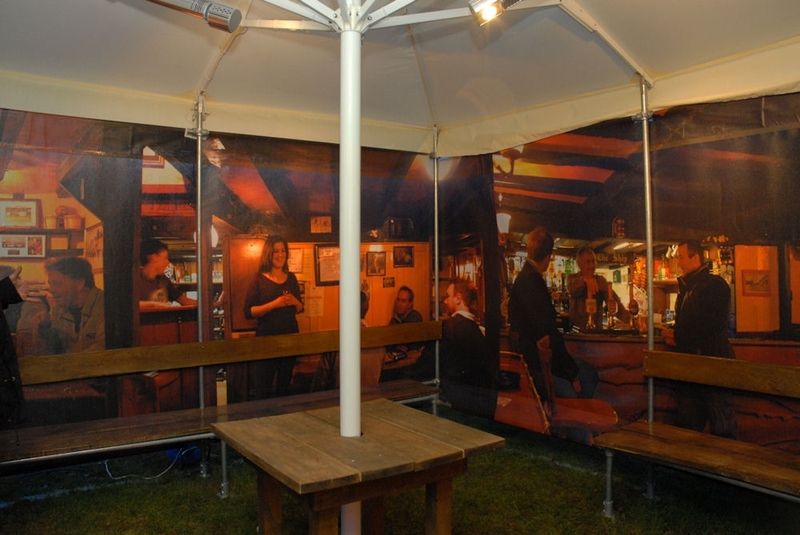 Call us on +44 (0) 1483 210142 or message via our contact page for a quote. The rigid 34mm galvanised steel frame links directly to the umbrella frame, with integral rustic oak seats, shelves and table. 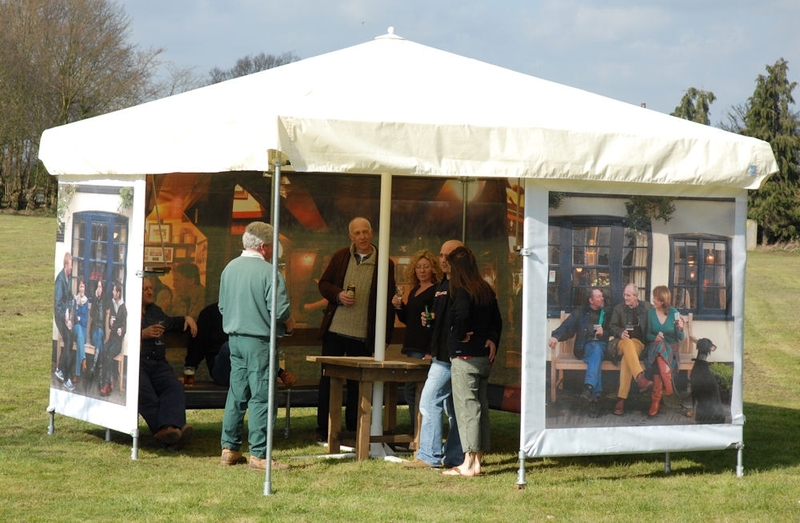 The Old English Pub Marquee is an additional room, a smoking shelter, a fun backdrop for a party bar, perhaps even your own pub in the garden! 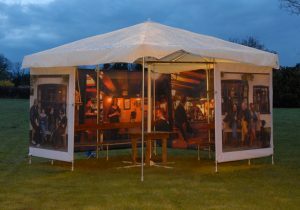 However you choose to use the Marquee, you can be sure of an atmospheric welcome.